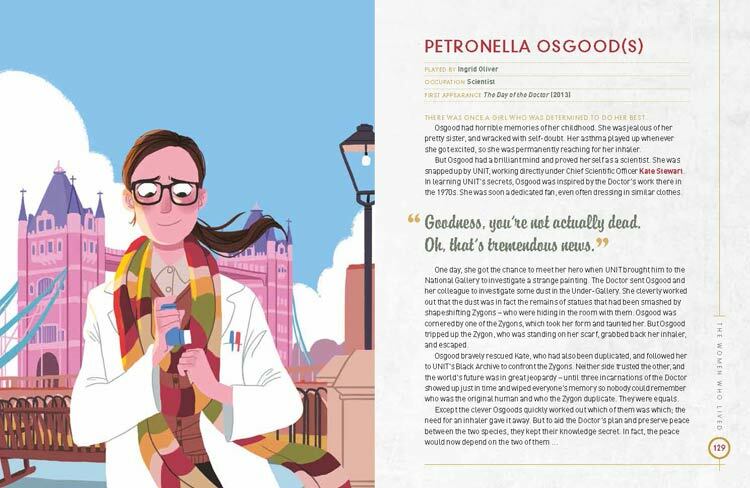 With a new Doctor in the form of Jodie Whittaker about to take the stage, BBC Books decided to celebrate by releasing Doctor Who: The Women Who Lived. 'Amazing tales for Future Time Lords' it says ... but that's not quite what you get. 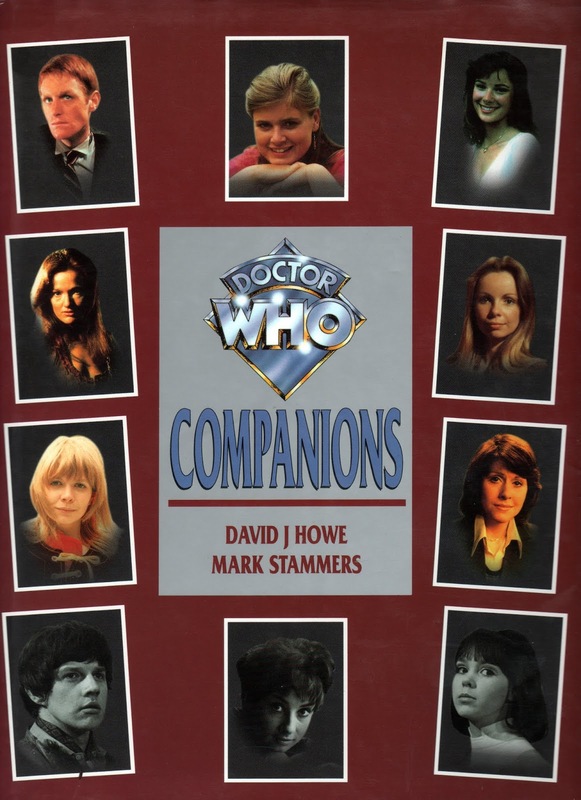 Several years back, I co-wrote a book called Doctor Who: Companions, which was a look at all the actors and actresses who had played the Doctor's companions to that time ... so basically Classic series, and including a couple from the original novels and comic strip too. My co-author Mark Stammers and I delved into the factual background of the characters, discovering their origins, BBC Outlines, their casting and so on, and also spoke to as many of the artistes as we could to try and gain a rounded and hopefully interesting view of the role of the Companion and what it meant to the many people who had played them. Written by Chrystal Dee and Simon Guerrier, this new book takes the female companions only, along with many other significant female characters from the show, and presents a page or two on each, accompanied by a piece of artwork depicting said character. All the imagery is by female artists too ... so it looks like the only men involved are co-author Guerrier, along with all the book's production team. So what is it then ... perhaps an art book? When I penned Timeframe, that title was deliberately designed as a scrapbook of images, with the text playing second fiddle to the visuals. Here the text takes up more pages than the visuals, but seems to be secondary to them. If this is an art book, then I'm really sorry, but many of the pieces look nothing like the characters. Many have over-simplified styles, and others have the characters conceived as almost Manga-inspired imagery, with over-large eyes and boyish figures. It's really not to my taste at all. There are a couple of what I would describe as decent images, but these are far outnumbered by those where I was left scratching my head as to who it was meant to be ... with only a costume element or even the text alongside it giving me a clue. I think this book should really have come from the BBC Children's Books stable as it's far more on a par with the young-aimed fare that they have been publishing. As a BBC Book, you'd reasonably expect something with a bit of meat and interest in it. At £16.99 for a hardback, this really is not something which appeals to me, and, I wonder, will it appeal to the under-tens who it seems to be aimed at. Do ten year old boys want to read a book of brief character descriptions and plot details concerning a bunch of women from a TV show, many of which they may never have heard of. Maybe that's the point, and the BBC want the series' associated merchandise aimed at 9 year old girls. I suspect this might be true, as Dee and Guerrier say at the end of their Introduction: 'we hope this book will inspire you - to revisit adventures from these women's point of view, to write about and draw your favourite characters ...' Not really something you'd find in a book aimed at adults. There's been a few Doctor Who titles released of late ... so a quick round up of thoughts. 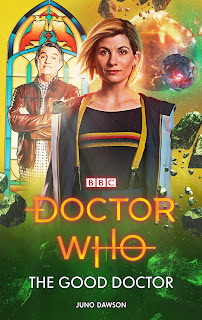 With the 13th Doctor now on television (and me not having time to watch and review the episodes at the moment ...) there's been a few titles released tieing into the series. But it's interesting to look back a few months to when a new crop of 'Target' branded novelisations hit the shops, to try and gain something of an appreciation as to what has happened here. 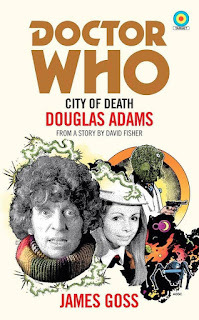 First off is City of Death, novelised by James Goss. In fact, abridged might be the best word to use here as Goss had already written a much longer version of Douglas Adams' City of Death a year or so earlier. This is a shorter version for the Target novelisation market, and reading it through, Goss is certainly channeling Adams bigtime, with much which reads and 'sounds' like something out of Adams' popular The Hitchhiker's Guide to the Galaxy series. There are some lovely moments, like a short sequence where Professor Kerensky is aged to death - but seen from Kerensky's point of view, and overall the book reads well. 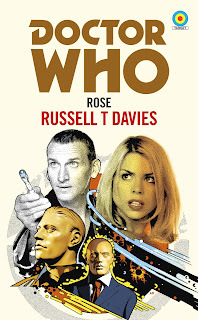 As a fairly traditional novelisation, this works well, giving the story and characters a little time to breathe (though not as much as in the full length version) while staying pretty faithful to the televised scripts. 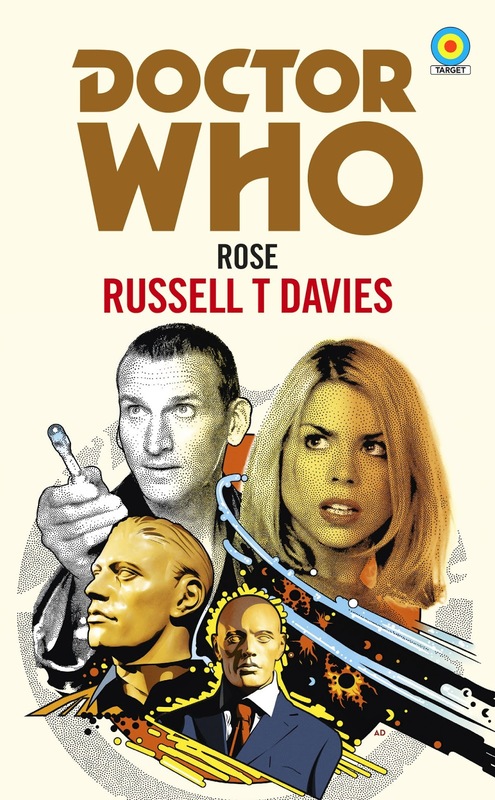 Next up is a ninth Doctor story, Rose, novelised by Russell T Davies from his own script. This again feels very much like a traditional novelisation, There is some expansion of the characters, but overall it feels very much like a 'script to screen' adaptation, not much added in, and not much taken away. It's another strong book, reading well, and making a great addition to the Target range. 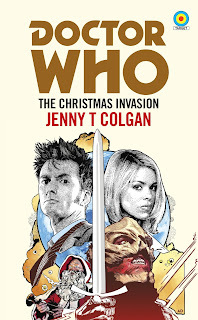 Tenth Doctor next, and Jenny T Colgan novelises The Christmas Invasion from Russell T Davies' script. 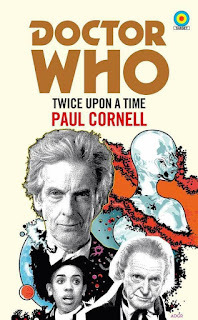 This is perhaps the weakest of this batch of novelisations, being again pretty much a straight retelling of the story with not much added or taken away. 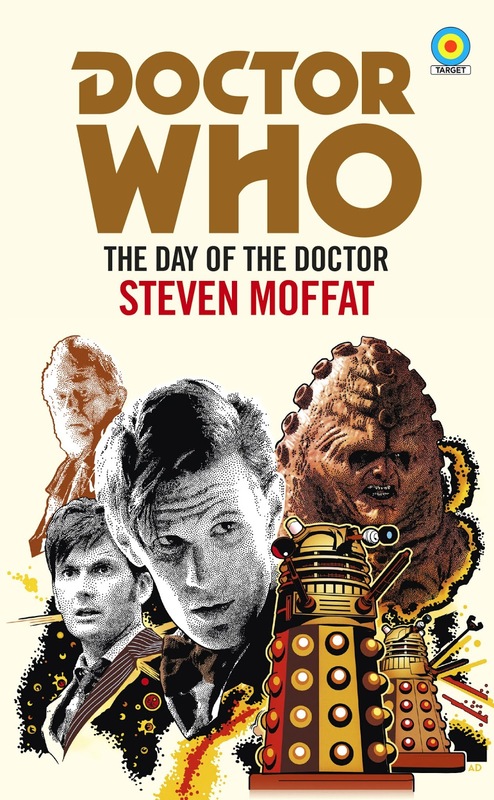 The Eleventh Doctor is represented by Steven Moffat novelising his own script for The Day of the Doctor. This is something of a revelation. Moffat makes the best use of the novelisation format and presents something unique and fascinating, a book which manages to follow the events of the televised story, while at the same time, putting a very personal and unique spin on it. Even the book plays games with the reader, promising a chapter which then doesn't appear to exist (but at the back there are marks which show how many times you have read - and forgotten - it). It's a clever book and stands rereading. In fact, it's pretty typical of Moffat's television Doctor Who ... complex and bewildering, but when he gets it right ... supremely satisfying. 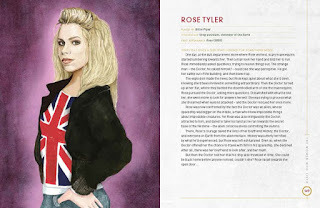 And that brings me to the new original novels which have been released for the thirteenth Doctor. There are three in the initial batch: The Good Doctor by Juno Dawson, Molten Heart by Una McCormack, and Combat Magicks by Steve Cole. Maybe this is because the books were commissioned and written before any information about how Jody Whittaker would play the character had been released, but after the aforementioned Target books, this is something of a disappointment. It's also got a similar plot to the television story The Ark - albeit that this is one which most readers and viewers will never have heard of let alone seen. The central conceit being that the Doctor and co visit a planet where there is a war, put things right, and then leave, returning 'moments' later (because Ryan forgot his phone) to find it's actually years in the future ... and thus seeing the results of their actions. There's also a hefty nod to Douglas Adams in the narrative, as one of the things they are faced with is a giant statue of the Tardis - and a stained glass window of Graham who is worshipped as 'The Good Doctor' ... definite shades of Arthur Dent there. 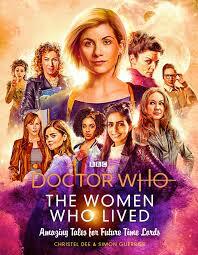 Maybe this is the essence of the show these days ... that the years of original fiction and comic stories have given birth to a Doctor Who variant which seems at odds with the show which I grew up with and loved. I often felt that the comic stories were a little 'silly', and this feeling has been played out in several of the television episodes this season. Maybe the books by Una McCormack and Steve Cole will be better (I have no previous knowledge of Juno Dawson's work, so she might be the one out of kilter here) ... I'll report back when I have read them.